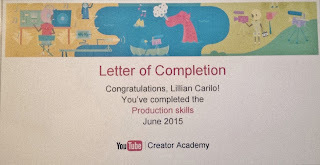 I recently found the motivation to participate in a YouTube Production skills boot camp. It was all right. Ha, I never finish stuff. I'm not gonna go as far as to say that my videos are new and improved, but I will say that my set design doesn't look too bad.